Hey guys!!! 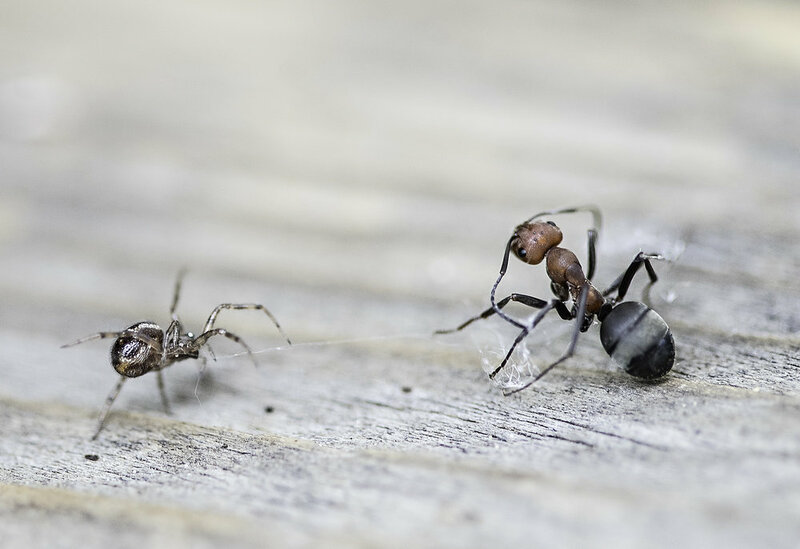 SO I know that bugs are not everyone's cup of tea so I decided my terribly neglected blog would be a better place to share images of the epic battle between the ant and the spider today so people who didn't want the heebies didn't need to suffer looking lol. I was truly fascinated watching these two battle it out. 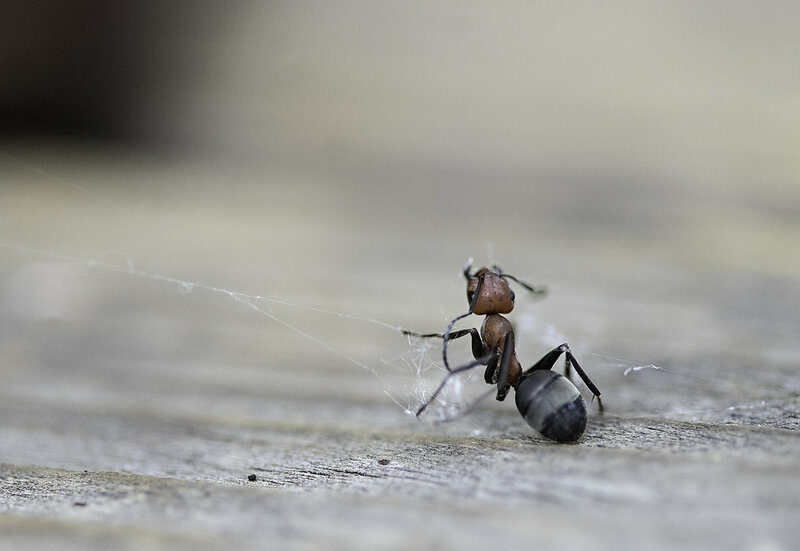 At first I thought for sure the Ant was going to dominate but once I saw the patience of the wee Spider I had to run and grab my camera because I knew I was witnessing something truly powerful. 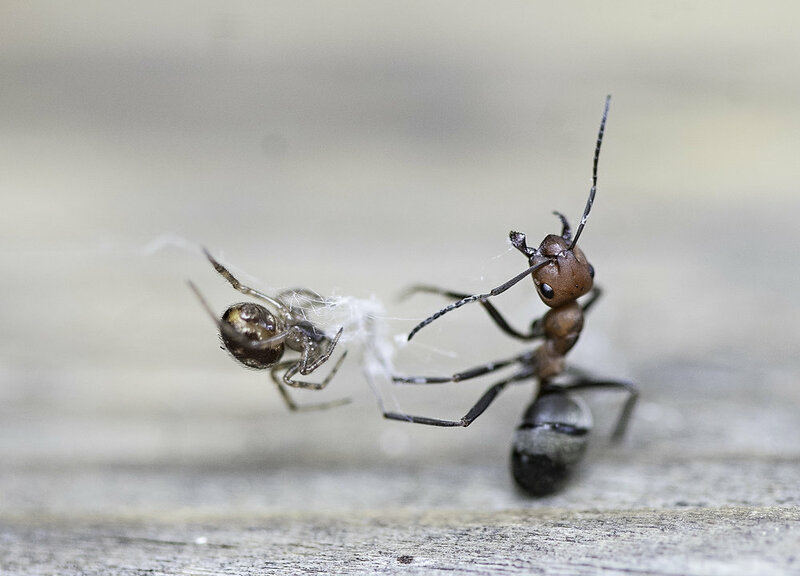 The Ant had the spider in strength and in size. . . but that tiny spider had the patience and will to succeed. The Spider ended up hog tying the Ant and while the Ant frantically used it's pinchers to bite at the webbing and try to attack the Spider when it came close, the Spider just patiently hung back. 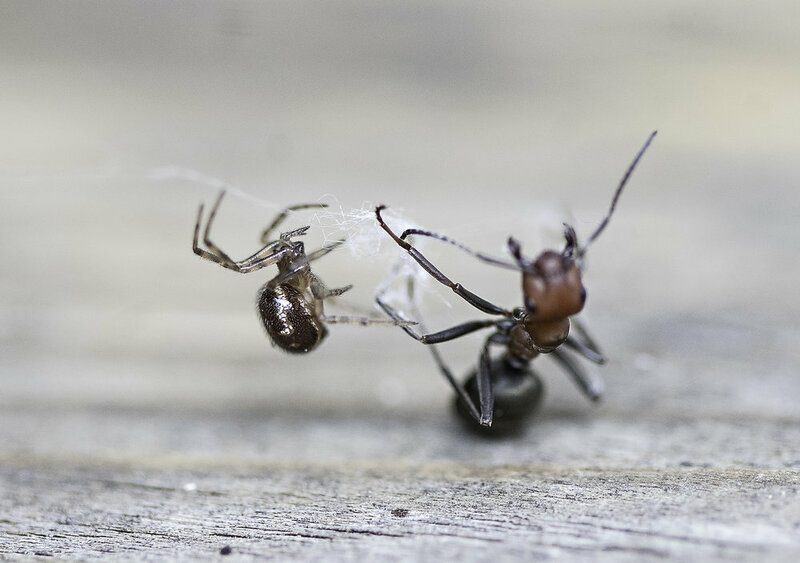 . . coming closer only to add a bit more webbing at a time to the Ant's legs until eventually the Ant wore itself out and gave into it's fate. I have to say. . . 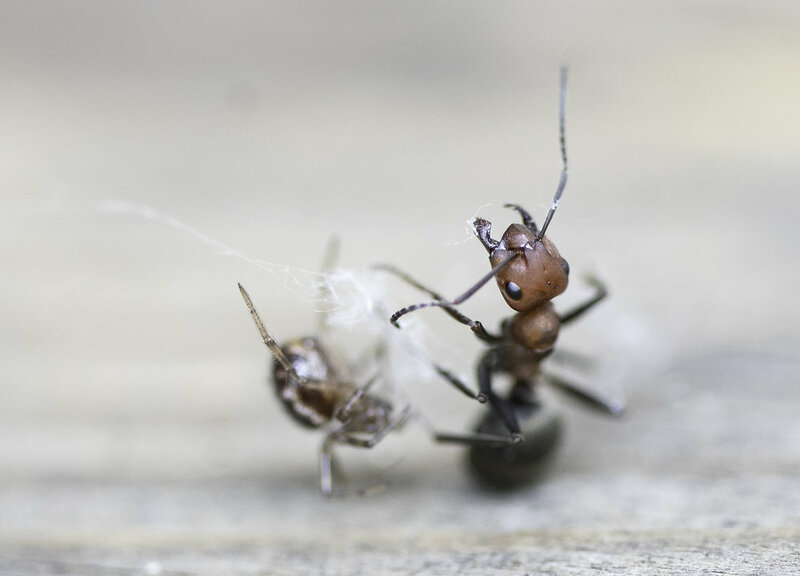 I was both inspired by the Spider's slow and calm approach and confidence BUT I also felt such a heart pull towards the Ant halfway through and felt like I should not be taking pictures of this attack and should somehow save it. . . but would that mean killing the Spider by taking it's food?!? Such a small world that we tend to take for granite. Anyways. . . I wasn't going to share originally but was asked to, so here are a few shots. I hope you enjoy the tiny little glimpse into this powerful moment that I found so captivating this afternoon.